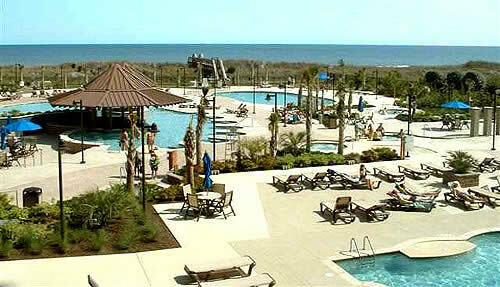 If you are looking for the most dazzling luxury resort in the Grand Strand area, you've found it with North Beach Plantation Towers. The exclusive development of North Beach is located across from Barefoot Landing on the outskirts of Windy Hill, and will encompass several acres between Highway 17 and the ocean. All types of homes are planned for the community and many are already built, including the cottage homes and the newest rainbow-colored townhomes in Spa Village. 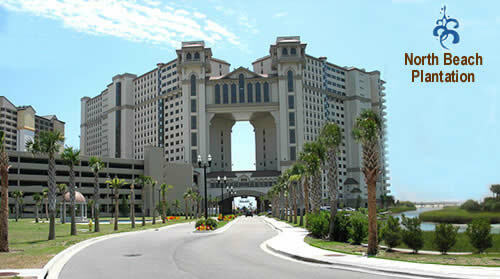 Read more about North Beach Plantation Towers real estate. But the pinnacle of the community and hub of its resort amenities are the oceanfront Towers with their water park pools and jacuzzis. 337 luxury condos make up the highrise towers, and each one is packed with upgrades and conveniences that rival the finest Las Vegas casino marvels. Lazy River and "Swim-up Bar"
This resort is brand new and will be growing and expanding its amenities for the next year or so. 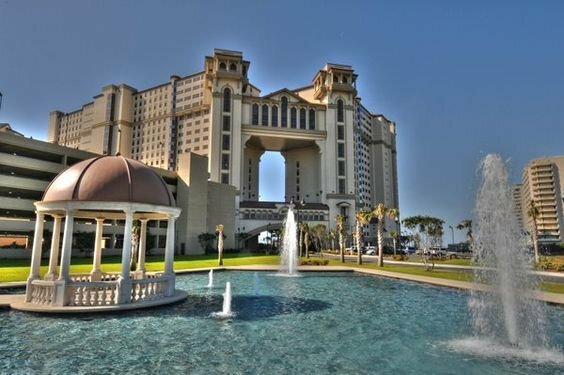 Prices are INCREASING for these units - yes, we said INCREASING, so if you've been thinking of buying the very best luxury resort condo at the beach, the sooner you buy the better. 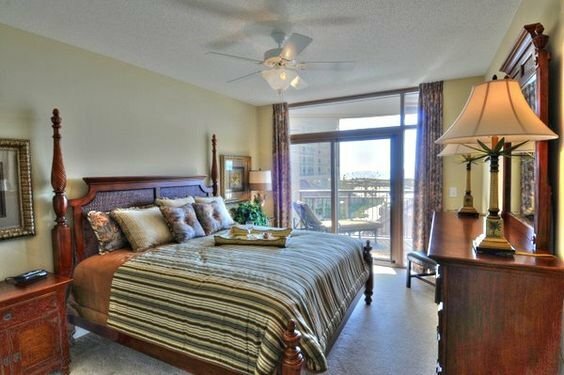 Let us show you what the North Beach Plantation Towers condos are like! Call or contact us for more information.